Lapis and Garnet earrings, bracelet, necklace and close-up of necklace. 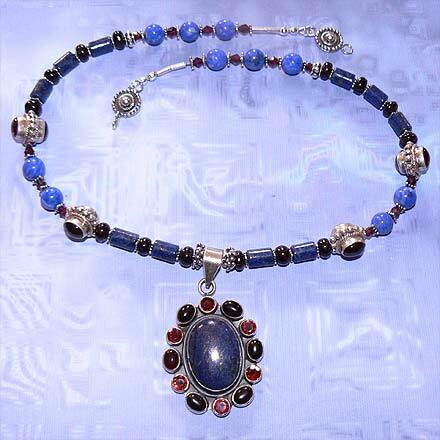 Sterling Silver Lapis and Garnet Necklace. 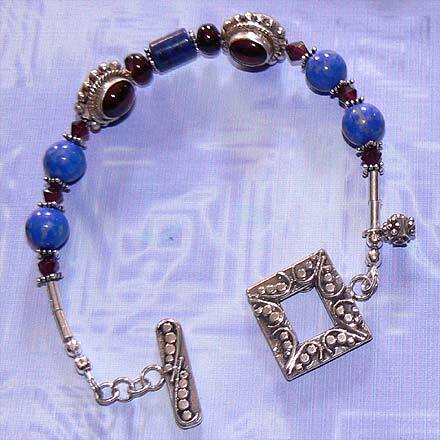 Sterling Silver Lapis and Garnet Bracelet. 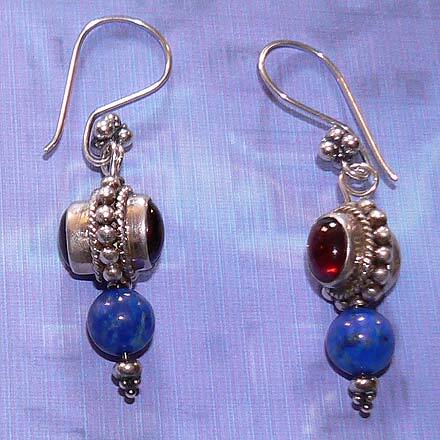 Sterling Silver Lapis and Garnet Earrings. 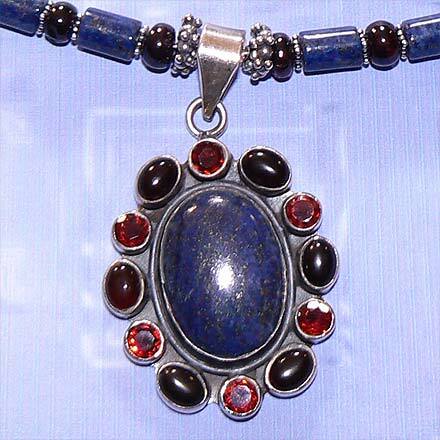 Lovely Star-speckled Lapis is surrounded by cabachons and facets of dark red Garnet. Each item has lovely Garnet beads set in ornate Sterling Silver.